Elizabeth Gaffney is the author of two novels, Metropolis and When the World Was Young (both Random House), and has translated four books from German, including Susan Kreller’s You Can’t See the Elephants (Penguin/Putnam). 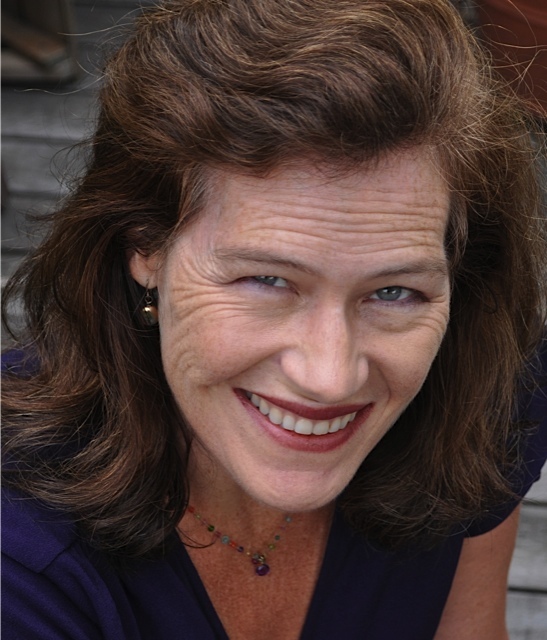 She teaches in the writing programs of the New School, NYU, and Queens University. The first time I crossed the equator, I stopped for a photo. People usually do. I had come to work in a small clinic in a coffee-farming village in southwestern Uganda, just to the south of the world’s belt. I grew up in the midlatitudes: long summer days and long winter nights, the swing of light and dark like a rocking hammock. I thought of the equator as a human idea—a line on a spinning globe. Its tyranny was a shock. In the first dream, the dog is disguised as a cat. In the second dream, when I pet him, the dog turns into chocolate. and lay over my chest to muffle the sound of my rapidly beating heart.